It's been a long time since I updated you with my Instagram photos, which may not be too bad as its full of pictures of my blog, beauty and my dog. I hope you don't mind that as all these things mean the world to me. I am loving having my own home as you can see in a few photographs, we have started making it feel super cosy. We put up our first Christmas tree which is so exciting. It was fun finding decorations and thinking of a theme. It feels like a home now that we have sorted out a fridge and a washing machine. It sounds weird but I missed being able to go on a food shop and buy frozen things and yogurts. There are a few photographs of my little baby Bella but she is my world, the picture I uploaded of her and her biscuits makes my heart melt. My mom got them for her when she noticed a good deal in a shop, When my brother dropped them off her face was hilarious. I could not help but capture this moment, if you look closer her eyes look full of excitement. I am obsessed with Lush, more so in Winter. I am using up my Candy Mountain bubble bar at the moment. It has to be one of my favourite products by Lush but it won't beat Snow Fairy. I purchased a medium bottle of Snow fairy the other day, this is one of my Christmas staples. I love Lush over the Christmas period, they bring out so many amazing products. What is Christmas without a Primark Christmas jumper, this cute squirrel one was just £12. I went shopping with my mom last week and picked this one up to wear to hers on Christmas day. I love Christmas day, I am so excited to eat yummy food and spend time with my family and Rob. Another clothing item I have been loving is my bear onesie from South Beach*, I have been living in it. It keeps me warm when we have the heating off, its so soft and it has the cutest design on it. Perfect for the colder months and Christmas morning when you open your gifts. I did a blog post all about the onesie here if you fancy having look, it was a morning pamper session. On Friday we all know about the Soap and Glory set going on sale. It sold out online by the afternoon. I set my alarm ready to order one online as last year I was so close to missing out on one. I am super excited to pick mine up this week, this set is perfect for Christmas it has full size products in the set with a gorgeous box. It was reduced from £60 to just £29 which is a bargain. Let me know if you managed to buy one this year? 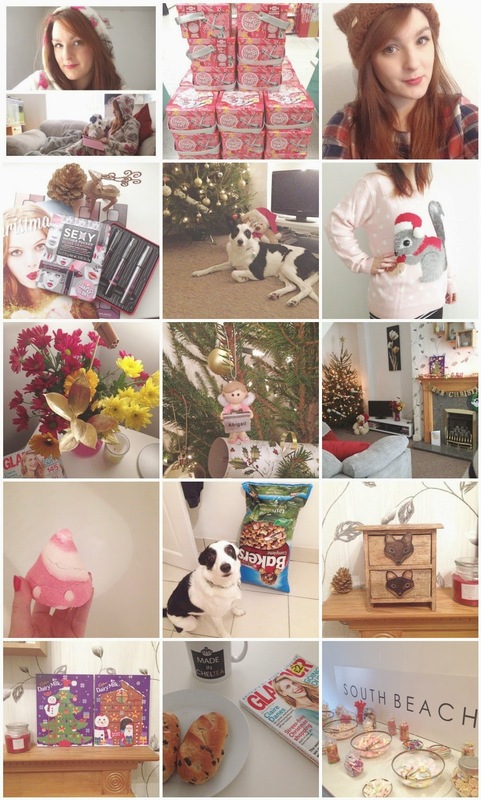 I hope you have been enjoying my Blogmas, keep an eye out for more posts coming up this week.